The day before I went down to Cornwall I was brainstorming what I wanted to make. I had a nice list, took in some requests (cheesecake, chocolate, chocolate cheesecake, cake), and went to bed content. 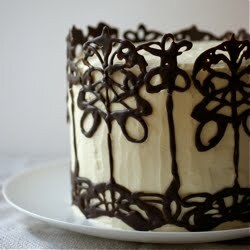 Then, as I was lying there, I started dreaming up a new cake. I think it may have spawned from a favourite pear and chocolate crumble I make (favourite combination strikes again! 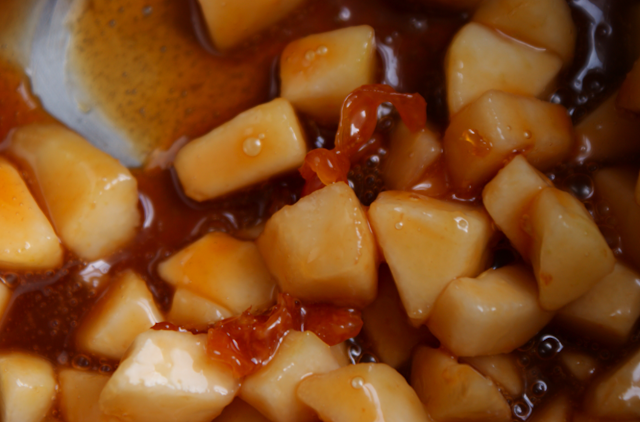 ), as I sometimes cook the pears in sugary, spice laden water before putting it all together if they're not ripe enough. I wanted the idea of lacings of caramel with the pear tender to bite. 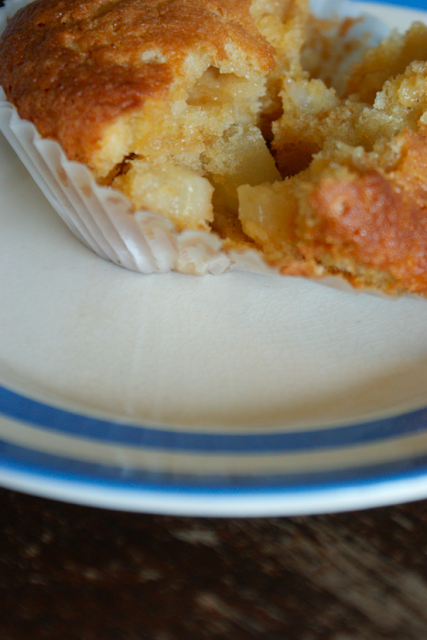 I thought I could mix half the caramel into the batter and swirl in the rest of the caramel, with the pears in. I got rather overexcited by the idea, so jumped out of bed and went to scrawl it down. I wanted to make a loaf cake out of the mix, but when I got down there, we didn't have any decent baking equipment in the cupboard. On our trip to the supermarket I scouted out some normal cake tins for the cheesecake and cake, but alas - no loaf tin. I settled for some muffin tins - I knew the cake tins would be full of cheesecake and it just felt wrong to make it like that somehow! Then I got home and started baking and realised that while we had three sets of scales - none of them really worked. 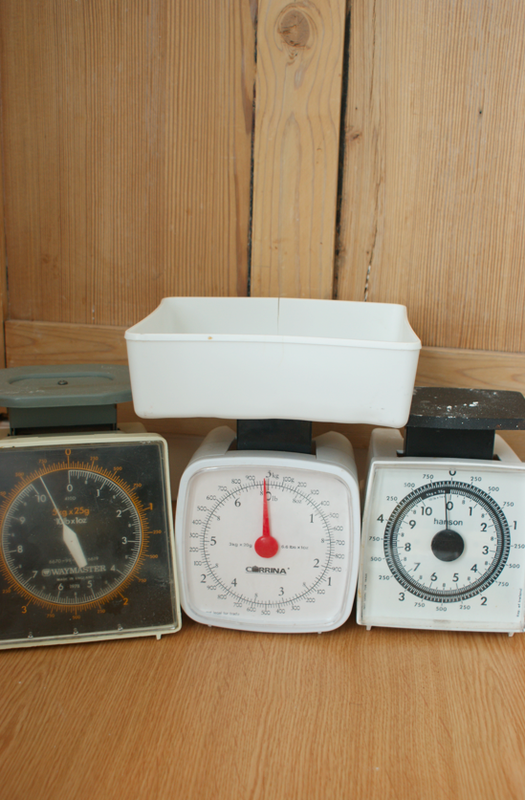 We have a beautiful set of balance scales at home and some digital ones for backup/tiny amounts so I was really unused to them being so inaccurate. So some of my measurements were a little off, but hopefully I managed to gauge the amounts properly for the recipe. 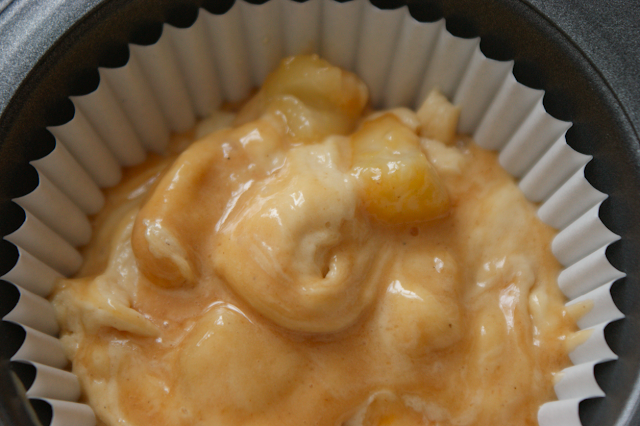 I decided to use a very basic cupcake/plain cake mix I use as a starting point as my base, then add in the caramel. 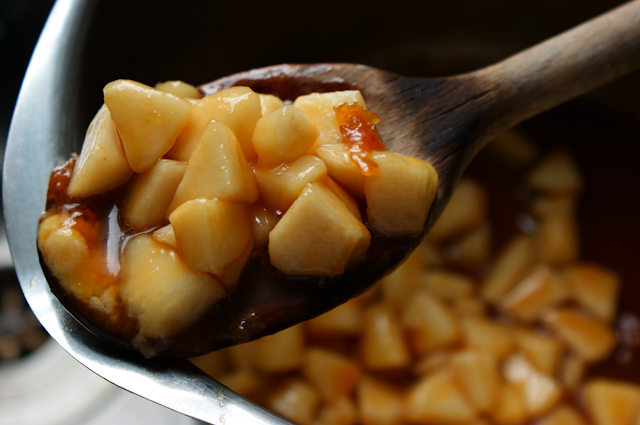 I had never actually made caramel before, so I did some research and found David Lebovitz's great articles on How to Make the Perfect Caramel and Ten Tips for Making Caramel. So I nervously poured some golden caster sugar into a big pan - read a little more and realised this was a bad idea - and swiftly tipped the golden caster out and replaced it with white. It got a little stuck to the spoon and I did get some crispy bits in it, as you can see below, but they were pretty yummy so I wasn't complaining. I stopped it with some cream - perhaps a second too early, but it was still nice and not too underdone. Perhaps a little less would have made the liquid more solid? I know I'll be experimenting with this for years to come. With all the caramel, the mixture came out pretty thin - next time I would definitely reduce the cream in the caramel and perhaps up the flour? I had too much mix for the muffin tins, so I put the rest in a handy quiche tin. I was a little worried at how sweet the mix was, but when cooked it mellowed out. I might still reduce the sugar in the cake another time. 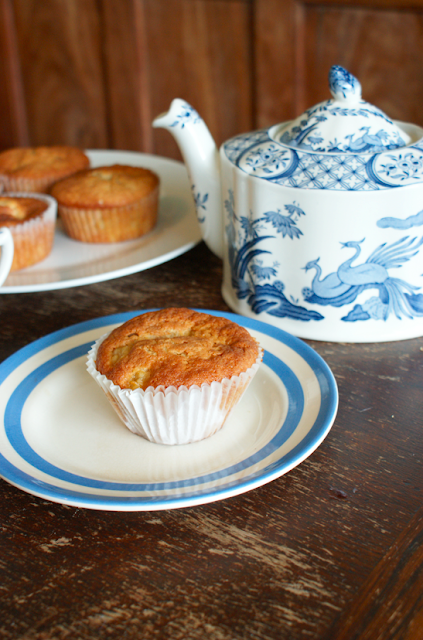 They came out tasting lovely - if looking a little odd in their muffin environment, a loaf setting would definitely suit them better. I left the one that ended up in the quiche tin at home with Mum and she raved about it - which reinforces the idea it would be better in a bigger setting. 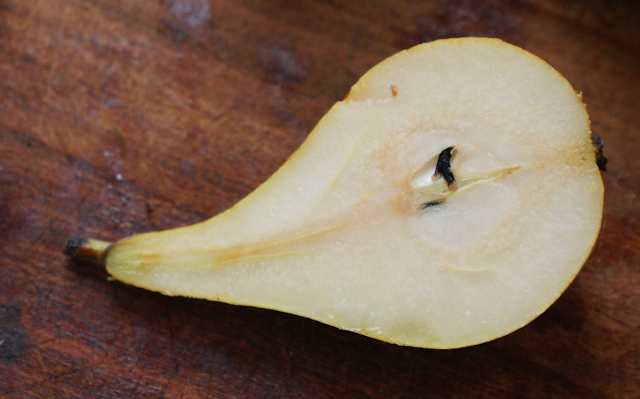 They're sweet, but not overpoweringly so, with a slightly nutty taste, and the pear was perfect. Definitely some room for improvement, but I'm very excited by how good they were. Edit: I've removed the recipe as I'm not happy with it and don't want you to try it and be disappointed. I'm working on a new version. Hi Emma! Your blog is amazing, photos, recipes, everything..I am very glad I found it and I'll be back for sure. Pear and caramel are a perfect fit!